Thank you, we have received your order. 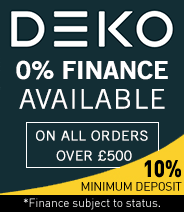 At present, Deko Retail Finance are reviewing your finance application and therefore we cannot currently finish processing your order. Please rest assured however that if and when your application for finance is approved we will finish processing your order immediately and send you an email confirming this.